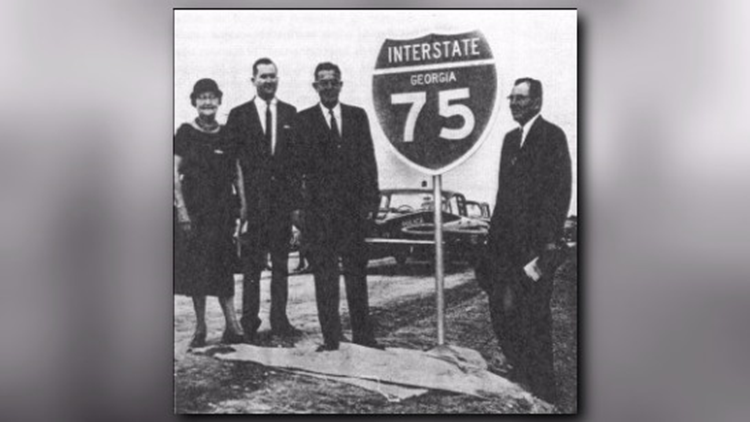 Eisenhower and our Interstate Highway System Our interstate highway system has a fascinating backstory. We don’t always remember when we’re speeding along at 70 mph on one of our many interstate highways that they’re part of a system named for a president. 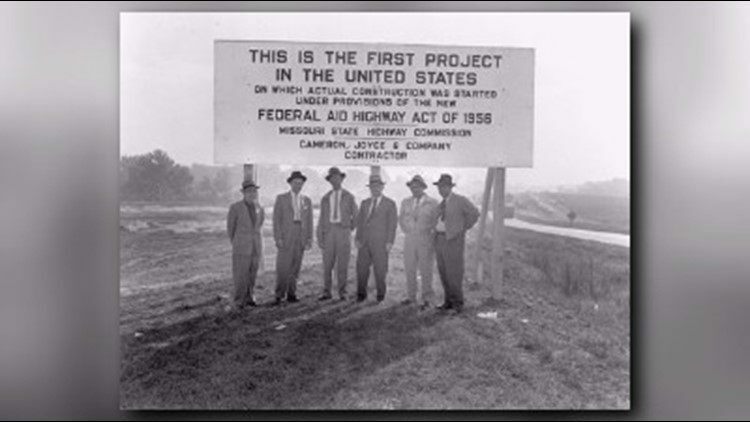 The Dwight D. Eisenhower National System of Interstate and Defense Highways, which is thankfully shortened to the Interstate Highway System, was built under the Federal-Aid Highway Act of 1956, enacted during Eisenhower’s first term as president. There hasn’t always been 41,000 miles of controlled access highway system crisscrossing our country. Here’s the backstory. As World War II ended and General Eisenhower accepted the unconditional surrender of Germany for the allies, he observed the network of high-speed roads known as the Reichsautobahnen in Germany. Since the War eliminated “Reichs” from the name, it was shortened to the Autobahn. Driving it at high speeds has made it legendary in our modern times. But in 1945 it was like an epiphany or revelation for General Eisenhower about what highways could become and mean for a nation. You see, Eisenhower had seen it done another way. In 1919 then Lt. Colonel Eisenhower was part of what the Atlas Obscura website claims was “history’s worst cross-county road trip.” Traveling at the breakneck average speed of six miles an hour, it took the 80 vehicle Army convoy 62 days to cross the United States. They could have taken the train and completed the trip in three and a half days. But anyone who has been in the Army and understands the concept of “hurry up and wait” knows that idea would not have passed muster. In fairness, this trip wasn’t about speed, but more of a fact finding mission. Most Americans had little idea of what was in the nation’s mid-section, let alone how to drive across it. The needs were real and many. Business needed better transportation, farmers wanted new markets for their crops, transportation companies needed dependable roads, and the military felt their ability to defend the nation was compromised by the non-existence of good, dependable highways coast to coast. For the everyday “Joes” of the nation who had left the east for the opportunity-laden west, going home to visit Grandma was just not practical. The needs were huge, but so were the challenges of building a national highway system. It didn’t take long for Eisenhower and his friends to realize this cross-country expedition wasn’t going to be a “walk” but rather a “drive” in the park. The New York Times waxed eloquent, calling it “the largest aggregation of motor vehicles ever started on a trip of such length.” The group, 24 officers and 258 enlisted men with the aforementioned 80 vehicles left Lafayette Square, Washington DC for San Francisco, CA July 7, 1919. They would utilize what was known as the Lincoln Highway, which failed to live up to the Highway part of its name. From the beginning, they encountered breakdowns, failed equipment, bridges incapable of carrying the load, and covered bridges that wouldn’t allow the big vehicles to pass. They were forced to become quite proficient at fording rivers. The savior vehicle was a Miltor Wrecker. Equipped with a winch, there weren’t very many days when it didn’t pull something out of somewhere. The really bad days were when the Miltor itself became stuck or slid off the road. These vehicles were not the go-anywhere all wheel drive monsters of today. They were mounted with skinny, hard rubber tires with one driving axle that enjoyed very much sinking into sand and sliding off mucky roads. And the convoy was about to experience a thousand miles of sand and mucky roads. But it got even worse. Eisenhower noted a day that included moving a sand dune and a detour that resulted in nearly all the vehicles being stuck. Getting them out “required almost superhuman efforts of entire personnel from 2 p.m. until after midnight.” Mileage report for the day: 15 miles in seven and a half hours of traveling. During this episode, fuel was running low and drinking water had to be rationed. This is the part I like. Fuel and water were brought in by a team of horses to save the day. It seems that horses and wagons travelled just fine in the area. System advocates also argued that the highway system would allow for quick evacuation of any atomic attack target area. I’m not sure that argument is as compelling in our modern world, but there’s little doubt that in hindsight The Dwight D. Eisenhower National System of Interstate and Defense Highways was in our national interest. Next Would You Rent Your Next Car?